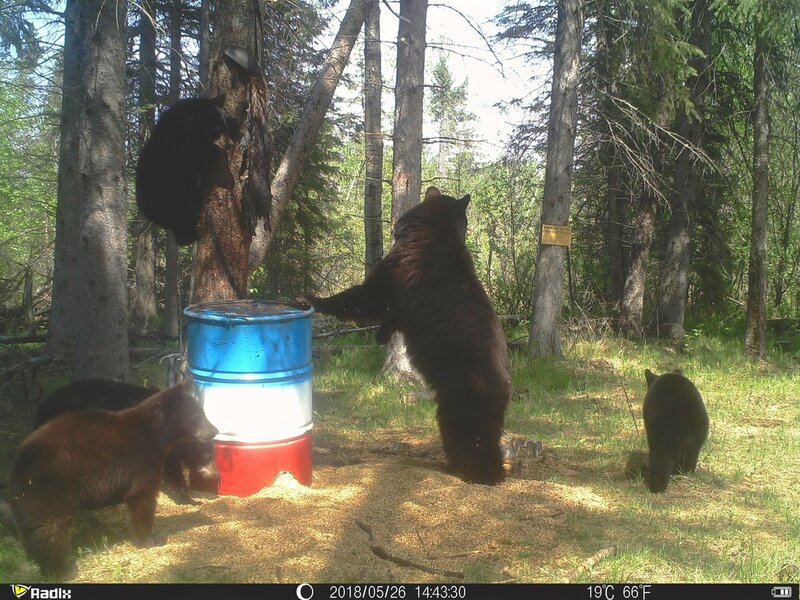 Located in northwestern Saskatchewan along the Alberta/Saskatchewan border, Wheat King Adventures has outfitting access to over 2000 square miles of trophy black bear hunting grounds each spring. The bear numbers are high, with a dense population of trophy class & colour phase bears. Our camp runs on “quality not quantity” as we guide a limited number of guests each season which in return gives you the best possible chance at taking a trophy bruin, and making your stay as comfortable as possible.
" I was invited to join a group to go to Canada last May on a black bear hunt which would be several firsts for me. First bear hunt, first trip to Canada and first guided hunt of this caliber. Let me be the first to say that everything lived up to expectations. I saw bears everyday, camp life was extraordinary and all the guides were very friendly and knowledgeable. ⭐️⭐️⭐️⭐️⭐️ all the way." Hunts take place during the last 3 weeks of may in the midst of the black bear rut. All hunts are 6 day guided trips that start by arriving in camp Sunday afternoon and hunting through until the following Saturday.. Over the course of your hunt you can expect to see many different bear, with shot opportunity being 100% to date. The average size of the bears harvested is around 6.5 ft. With some patience taking a bear over 7ft is capable. For guys that are looking for a colour phase bear, we have them all. Our outfit is 1 bear per hunter. 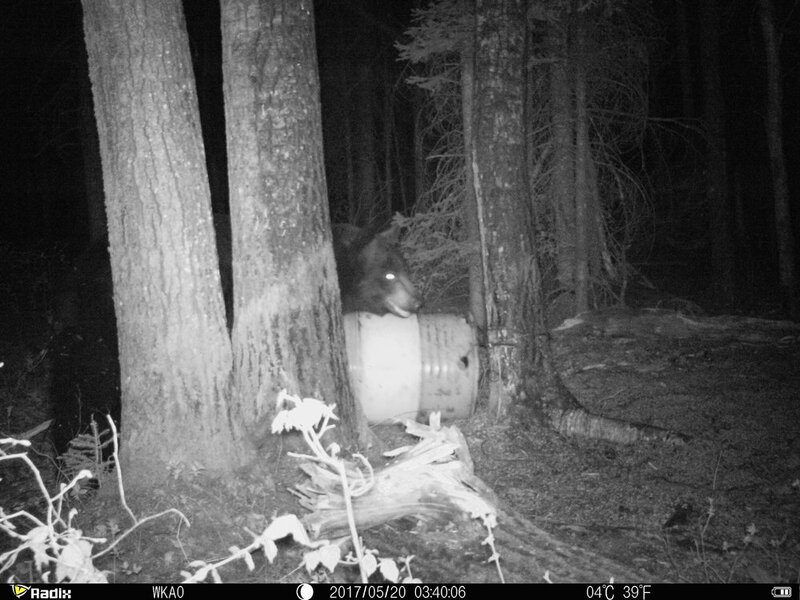 This promotes proper bear management and sustains a healthy population of big mature boars within our hunting concession. The biggest bear taken with us in the spring of 2018 weighed 445 lbs and squared over 7 foot. Fishing season opens May 15 every year. Our lodge is a 'stones throw' away from the shores of Lac Des Isles Lake where our guests have the opportunity to head out fishing for Northern Pike & Walleye in the morning before their evening hunt. We also offer half & full day guided fishing charters for those who are interested once they've taken a bear. We hunt primarily out of comfortable single and double (ladder) tree stands. Stand setups for Archery, Muzzleloader, Rifle. We hunt over bait using a mixture of trail mix, beavers, oats and grease. Aside from fishing, there is also a beautiful 18 hole golf course located 10 minutes from the lodge. If you're looking to hunt Black Bear with us, please contact Anthony Springer regarding pricing, availability or any questions you may have. Once your trip is booked you will be emailed gear lists, maps to the lodge, hunt forms, and other information to help you plan and be well prepared for your hunt.